The research was published by the Royal Society of Chemistry. 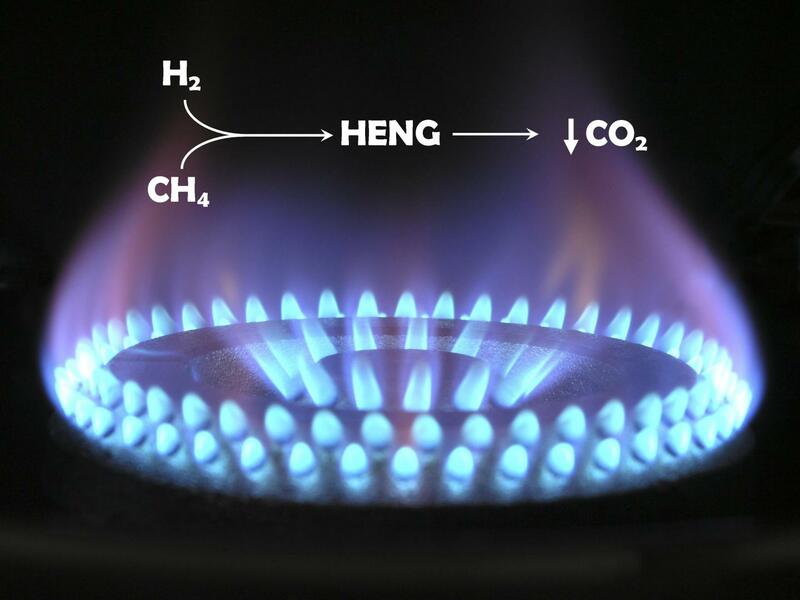 30% hydrogen enrichment and a potential 18% drop in carbon emissions: the difference between the two percentages arises from the fact that hydrogen-enrichment lowers the calorific content of the fuel, necessitating a higher volume of gas for a given energy output. The research was supported by the Welsh Government Sêr Cymru Program, FLEXIS, which is partially funded by the European Regional Development Fund, and the King Saud University as well as by the Welsh Government through the Sêr Cymru Chair for Low Carbon Energy and Environment. Co-author is Waheed Al-Masry an assistant professor in the Department of Chemical Engineering at King Saud University, Riyadh, Saudi Arabia. The Energy Safety Research Institute (http://www.esri-swansea.org) is positioned to discover and implement new technology for a sustainable, affordable, and secure energy future and is housed on Swansea University's new world class Bay Campus. ESRI provides an exceptional environment for delivering cutting edge research across energy and energy safety-related disciplines with a focus on renewable energy, hydrogen, carbon capture and utilization, as well as new oil and gas technologies. When reporting this story, please use Swansea University and ESRI hyperlinks. Swansea is ranked the top university in Wales and is currently The Times and The Sunday Times 'Welsh University of the Year' for 2017. It is also ranked within the top 300 best universities in the world in the Times Higher Education World University rankings. Kevin Sullivan, Swansea University Public Relations Office.